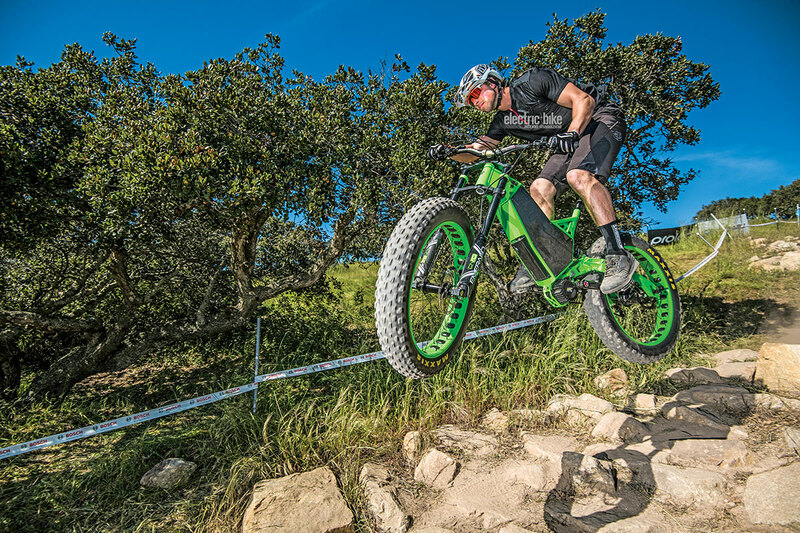 Here are eight riders tips on how to descend faster, because, let’s face it, who doesn’t want to ride faster down the trails? Learning to descend faster is not just about letting go of your brakes, although that does help. It has more to do with building the proper skill set. Ever wonder how pro riders make flying down the mountain look so easy? Well, they’ve spent years perfecting their technique. The first place to start when it comes to descending faster is your bike setup. Start with the suspension, and make sure it feels comfortable. If the bike feels like it’s bucking you off the ground instead of tracking smoothly, your rebound is likely set too fast. On the other hand, your rebound could be set too slow if your suspension feels as if it can’t keep up with the terrain in front of you. Play around with your bike’s suspension components, and if you’re running an air fork or shock like most riders, make sure to properly set the sag. If you need help in this department, head to your local shop or contact the manufacturer of your suspension. The next place to focus on is your bike’s cockpit. Learning to ride faster has a lot to do with being comfortable on your bike, and having a properly set up cockpit will help provide that comfort. Experiment with different stack heights, bar widths and stem lengths in order to find the setup that works best for you. Try running your brake levers in an orientation that keeps your wrists in a straight line while in the “attack position” (more on that coming soon), and find a pair of grips that are comfortably sized for your hands. Last but not least, double-check that your stem is straight. We can’t count how many times we’ve hopped on a new bike and noticed the stem was ever so slightly tweaked to one side or the other. One way to quickly become a faster rider is to simply look further down the trail. Many riders stare at their front tire because they want to see exactly what they are about to run over. Fast riders already know what’s coming, because they have spotted trail features well in advance. Using your eyes to help steer your bike is a good skill to practice as well. Ever stare at a rock only to smash into it? We’ll admit we’ve done it a time or two as well. When racing down the trails, only look where you want to go, not where you don’t. You can also try pointing your chin towards the line you want to take. This will help remind you to keep your head up and your eyes down the trail. If you’re a rider who stays seated during descents, you’re doing it wrong. Standing up gives you the ability to soak up the terrain with your legs or shift your weight through turns or off drops. 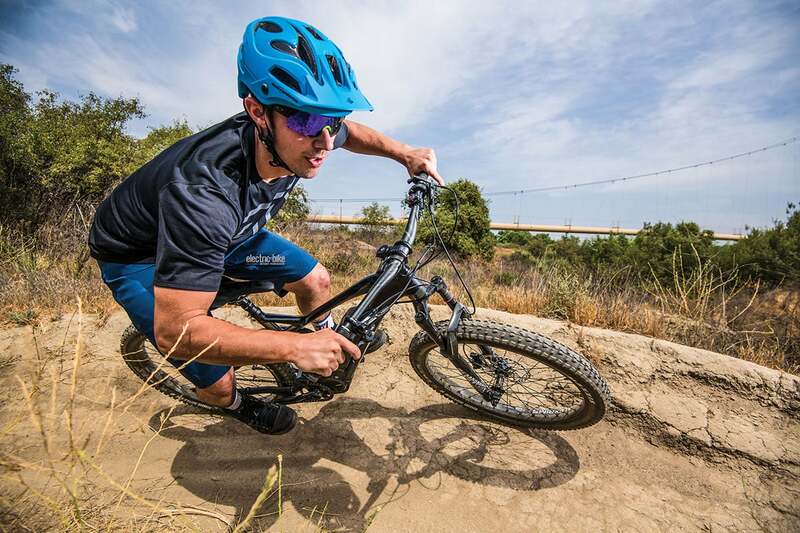 The attack position refers to a rider standing over his bike, ready to take on the trails. A rider in the attack position will have his knees and elbows bent an equal amount, and his back should be almost parallel to the ground. As mentioned earlier, the rider’s head should be up and his body should be balanced, front to back and side to side, as much as possible. Remember, this is a strong position that utilizes a rider’s core strength, along with his arms and legs to help him soak up the terrain more easily. A tense rider will never be a fast rider. If you want to ride faster, you need to be comfortable and loose. Sure, you still need to descend in a strong attack position, but it’s important to loosen your grip on the handlebars and allow the bike to move freely underneath you. One thing our test riders constantly remind themselves while descending is to have light hands but heavy feet. Placing your body weight on your pedals as opposed to your hands will cause your bike to track the ground better, and your hands and forearms will be less fatigued. You don’t want to ride so loose that your bike wanders around the trail, but you also don’t want to ride tense, as it will fatigue your muscles and limit your control over the bike. Heavy feet, light hands: Joshua Button from the Kona Factory race team demonstrates textbook-style of heavy feet and light hands as he blasts down the Canadian Open downhill course in Whistler. There’s a misconception that fast riders never touch their brake levers. While it’s true they use them less than other riders, they definitely use them. Fast riders know how to use their brakes efficiently, allowing them to carry more speed down the mountain. To do this, a rider must learn to brake before a turn, anticipate the speed he needs and then accelerate out. On straight sections, riders should jab the brakes slightly to scrub off speed instead of dragging them. Many riders wait until the absolute last minute to break, and more often than not, lock up the wheels and skid in an effort to slow down. Smooth is fast, so work on braking earlier than you normally would, and then stay off the brakes through turns or fast chutes. Keep in mind, a fast rider will rarely if ever, skid his tires due to heavy braking. This is often a temptation for beginners who want to go fast. They crank on the pedals as hard as they can in an effort to accelerate down the trail. 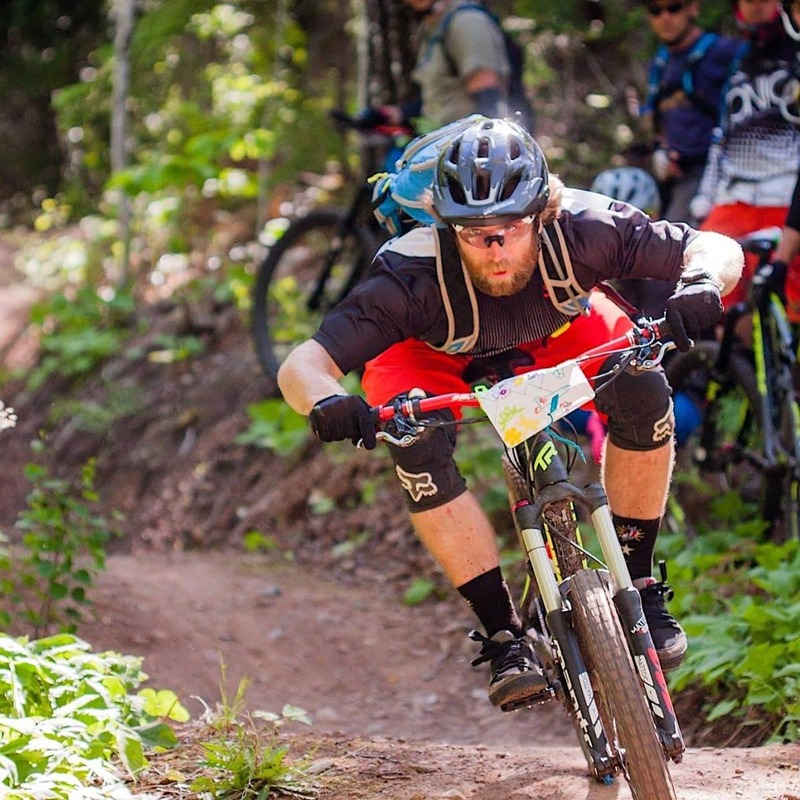 While this method may work on flatter trails, it’s often not the fastest way down steep singletrack. Instead of mashing on the pedals, look for creative ways to gain speed, such as pumping rollers or pushing out of turns. Unless you’re a super-fit cross-country rider, pedaling hard down the trails will likely tire you out and cause you to make small mistakes that will only slow you down. Instead of pedaling like a madman down the trails, relax. Remember, smooth is fast. If you watch a race car work its way around a track, you will quickly notice the driver cutting the inside corners of the racetrack. While we never advocated intentionally riding off trail, we do recommend using inside corners of the trail to help you save time on your descents. If you have trouble spotting faster lines, follow a better rider and do your best to match his lines. As you gain confidence, practice choosing your own unique lines to see if you can close the gap between you and the faster rider. Remember to always be aware of other trail users and the environment. If someone is climbing up the trail, don’t go for the fast line; pull over and let him pass. And last, be a role model and stay on the trails. It only takes one tire track off course to encourage more riders to take that line. but challenging yourself to different trails with new obstacles will help you become a better rider. Keep in mind, pro riders make descending look so easy because they’ve dedicated years to perfecting their craft. If you want to descend faster, you have to get out and work for it, but by implementing these eight tips during your next ride, you’ll already be well on your way.